You really should charge your portable devices every night. This is especially important with smart phones and tablets, that wear out their batteries faster than ordinary mobile phones. Of course, there are days when I forget to do this. 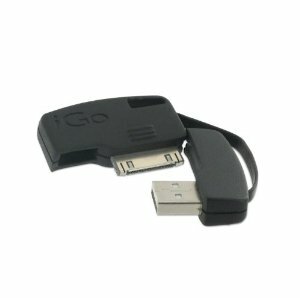 On those days, my iGo portable charger is invaluable. I keep it out my keychain and it’s always ready to plugin into a USB port so I can charge my phone on the go. 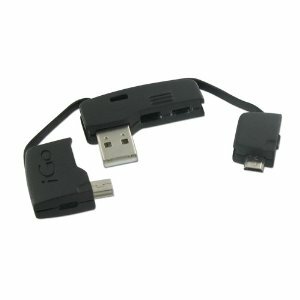 It connects to both Micro USB and Mini USB connectors, which means it will connect to most smart phones. You can buy one an Amazon for about $8 less than I paid for it retail. There’s even an Apple version for iPods, iPads, and iPhones. You can also buy one of these on Amazon.